The Madras High Court has directed the Bar Council of Tamil Nadu and Puducherry to enrol a law student ,whose application was rejected on the ground of the pendency of a criminal case against him. The Court held that the mere fact that an individual is part of a group, which stood before a TASMAC shop and shouted slogans, cannot make them guilty of a criminal offence, the Madras High Court held on Tuesday. The Division Bench of Justice V Ramasubramanian and Justice K Ravichandra Babu passed the direction on a writ petition moved by R Nagendran, whose application for enrolment was not entertained by the Bar Council of TN and Puducherry on account of pendency of a criminal case. 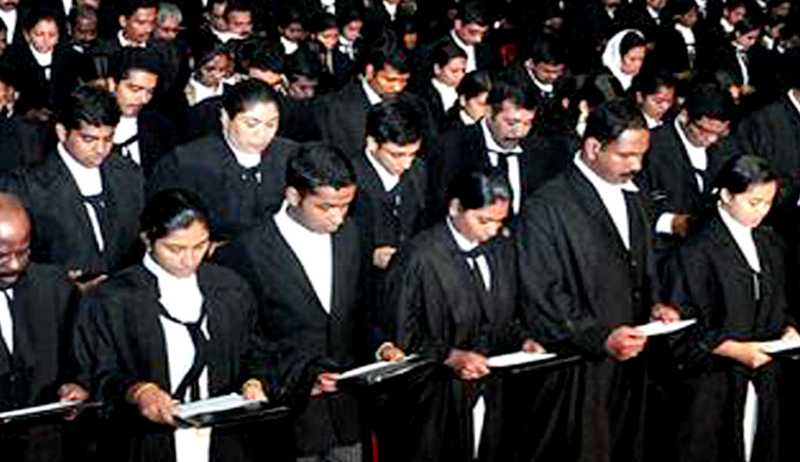 Nagendran completed a three-year law degree course from the Government Law College, Coimbatore in May 2014. The student R Nagendran, while undergoing the course, had participated in an anti-liquor protest in Coimbatore in 2014. He, along with 23 others, was cited as "accused of unlawful assembly." Charge sheet in the case had been filed and the trial was yet to commence. Also there was no allegation in the FIR that Nagendran indulged in any violent form of protest or any activity that was likely to cause damage to public property. Moreover, they were arrested and let out in the evening after registering an FIR. Justice V Ramasubramanian said, "One of the ideals of our Constitution is to raise the level of nutrition and the standard of living of the people of the country and the improvement of public health. The protest/demonstration organised by the group of students, including the petitioner, was actually towards fulfilment of this fundamental duty”. A careful consideration of the order shows that the concern expressed by the judge was with regard to anti-social elements and persons with criminal antecedents trying to enter into legal profession, with a view to having protective gear around them. Therefore, the prohibitory order needs to be understood in the right perspective and could not be applied blindfold to all types of cases. "The mere fact that he was part of a group which just stood in front of a liquor shop and shouted slogans, without anything more, cannot make him guilty of an offence, as they were only exercising their fundamental right under Article 19(1)(b) and performing their fundamental duty under Article 51-A for impressing upon the State the need to follow the Directive Principle of State Policy enshrined in Article 47," the bench said. Pointing out that the cause taken up by a law graduate by way of demonstration was both laudable and noble; the Madras high court directed the Bar Council of Tamil Nadu to process his application for enrollment as an advocate within four weeks.